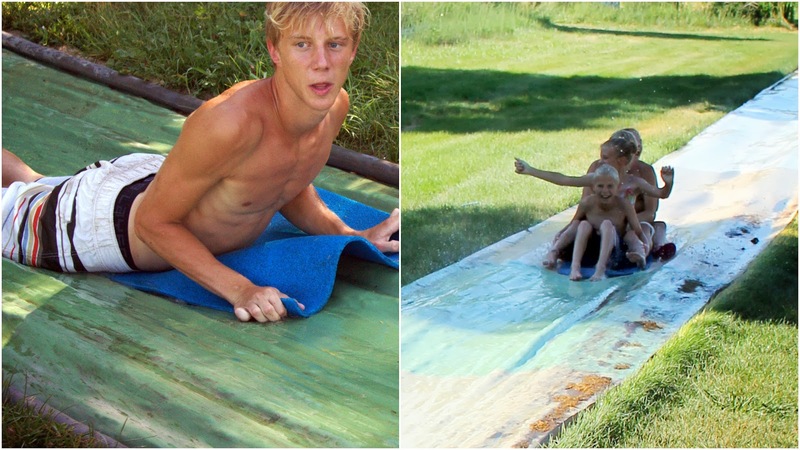 Some of our favorite people in the world (yes - you - westerberg clan) planned a family gathering at (what i would describe as) an adult slip 'n' slide. Being the Harrison (slash ackerman) family we are, we labeled ourselves 'family' and crashed their party. But, instead, we apparently chased them away. But, we still slipped and slid. Lady much preferred cuddling with Grandpa and Grandma and splashing in the muddy water to the actual slide. But, she endured a trip on D's lap. Four pizzas, a few injuries, and a whole bunch of tired people later - we called it a night. Next, I'm going to arrange a day playing in the sprinklers. Because, really, I'm pretty sure we enjoy these kind of activities just as much (if not more) as adults.